And we did! Thanks to our friend’s recommendation, we decided to join an evening excursion on traditional fishing boat to see how the every-day fishermen’s life looks like. There wasn’t more than 20 people on board, including the crew, which was really great because we could seat wherever we desired. What really amazed us at first is how clean and tidy the fishing boat was, there was absolutely no smell of old fish or smelly containers which you can usually see on this kind of boats. So, we got comfy on the upper deck, of course, to make sure we get the best possible view of the sea and the coast in sunset. After this really nice welcome drink, we were all ready to witness some real fishing. The fishermen lowered the trawl fishing net into the sea after which our captain took us all on the upper deck to tell us everything about their way of fishing in the Adriatic sea and about the fish and other species that live in this particular area, which we might even see in our nets in a few hours. The captain was really knowledgeable and we could ask him all kinds of questions. After this really interesting education and a chat with our captain, sailors offered us local cheese and anchovies as an appetizer while we were waiting for the nets to be pulled out. The weather was great and the sunset was simply amazing. My partner got us some good local wine at the bar and we were just sitting there and enjoying dazzled colours of the sea and the mesmerizing view. It couldn’t get more romantic for our last night there and we were thrilled about it! After nearly two hours, the captain called us to join him and the crew while they pull out the net. We all geathered around to see what good will come out. 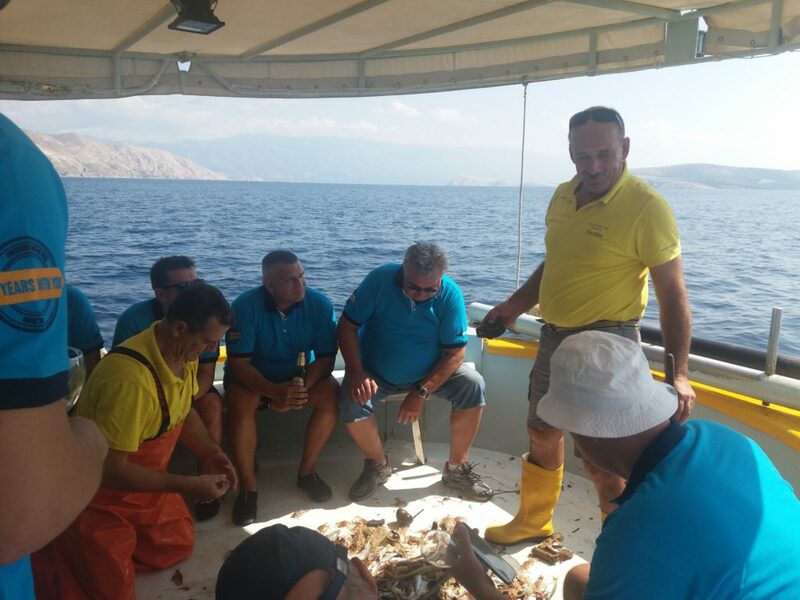 There were shrimps, different kinds of small fish and clams but the most interesting part was when the captain was describing to us every fish individually after which they even showed us how to clean the fish. For the perfect closure of this magnificent night, the fishermen cooked this freshly caught fish for us and served it with a traditional side dish. Along with delicious dinner from fresh seafood and a good local wine under a starry sky, we enjoyed fully till the very end of this unique and most fascinating experience! 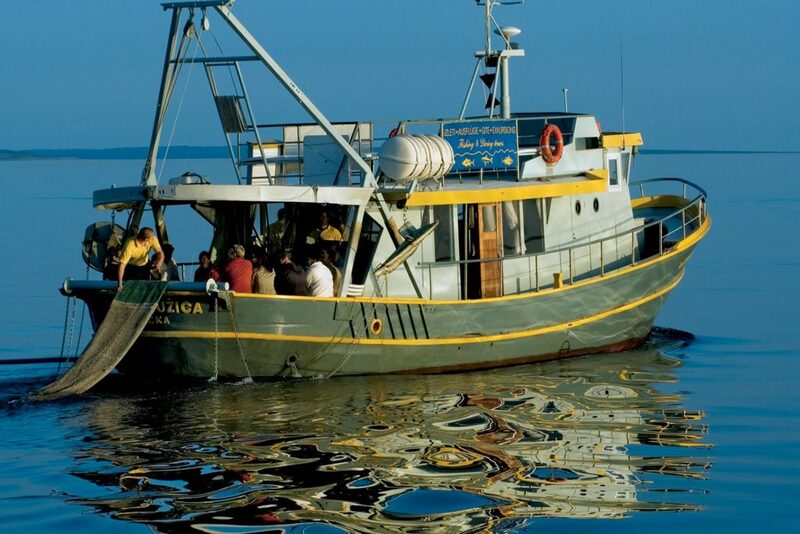 Read more about it: Night Fishing with Dinner aboard on the Island of Krk! If you love seafood (btw, we simply adore it!) and would like to experience it freshly caught and prepared in front of you on the boat under a romantic starry sky, you will definitely enjoy this unique Night Fishing Excursion as much as we did!